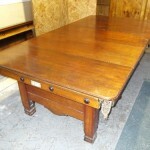 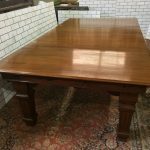 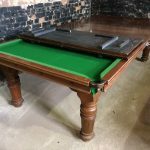 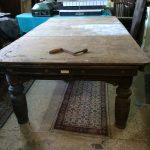 8ft Antique Snooker Dining Tables | Browns Antiques Billiards and Interiors. 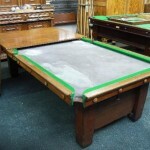 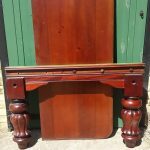 A selection of 8ft convertible antique snooker diners in stock. 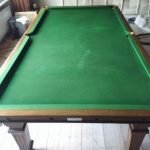 The playing surface is 8ft long, dining measurements will be larger. 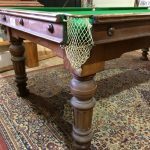 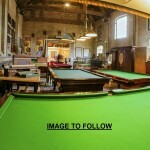 For other sizes of snooker diner, please see the 6ft, 7ft and 9ft antique snooker diners pages.